Bakkt is a cryptocurrency payment system and trading platform created by Intercontinental Exchange (ICE). Bakkt's original launch date was November 2018. Its launch has been delayed due to lack of regulator approval. Bakkt announced its five-member board of directors on March 29, 2019. The members include Akshay Naheta, managing partner at Softbank, Sean Collins, managing partner at Goldfinch Partners, Kelly Loeffler, Bakkt's CEO, Jeff Sprecher, ICE CEO and chairman, and Tom Noonan, member of the ICE board of Directors who will also serve as chairman of the Bakkt board. Bakkt is a bitcoin-based cryptocurrency retail payment platform developed by ICE. Bakkt initially planned on launching in November 2018. Pending approval from the Commodity Futures Trading Commission (CFTC), the company also planned on offering physical bitcoin futures contracts on release. Bakkt will also offer "warm" wallet insurance for its customers, as well as, potentially, 401(k) and IRAs based on bitcoin. Additionally, representatives of Bakkt said it will provide users with the ability to use bitcoin to pay for retail goods and services, such as Starbucks coffee and Microsoft products. The infrastructure of Bakkt was developed based on Microsoft's cloud technology. In April 2019, Bakkt announced that it had hired former PayPal and Google executive Mike Blandina as Chief Product Officer. In January 2019, Bakkt announced that the company had acquired the assets of Rosenthal Collins Group LLC, a futures commissions merchant that had been in business for over a century. Bakkt CEO Kelly Loeffler said that the acquisition was seen by members of the Bakkt project as an "opportunity." Bakkt acquired many of Rosenthal Collins' back office staff, including compliance, treasury, and risk management specialists. In February 2019, an unidentified individual began sending emails in broken English to Bakkt investors. The emails instructed their recipients to register their names and email addresses at bakktplatform.io, then provide a wallet address and send funds to a bitcoin address provided in a separate email. Representatives from ICE confirmed to Coindesk that this website is fake, and the person sending the emails is not affiliated with ICE or Bakkt. Bakkt will primarily function as a payment platform. The company has been working with retailers such as Starbucks to enable customers to make low-volume transactions using bitcoin. Bakkt will allow users to engage in cryptocurrency trading through bitcoin futures contracts. The company plans on offering customers the ability to open 401(k) and IRAs using bitcoin. In addition to offering warm wallets for users to store their bitcoins, the company plans to offer insurance as well, should their wallets get hacked. In August 2018, ICE announced that they had begun creating a new company called Bakkt, which would aim to provide a federally-regulated market for bitcoin and other digital assets. The company has said that it was working with a group of organizations including Boston Consulting Group, Microsoft, and Starbucks, to create an integrated platform that enables consumers and institutions to buy, sell, store and spend bitcoin on a global network. In October 2018, Adam White, the "fifth employee" of Coinbase, announced he was leaving the company. Less than a week later, it was announced that White would be serving as the COO of Bakkt. The launch date for the Bakkt Bitcoin Daily Futures Contract was originally set for December 12, 2018. In November 2018, ICE announced that the launch of Bakkt would be delayed so that the company could secure "warm wallet insurance" for Bakkt's infrastructure. According to Bakkt CEO Kelly Loeffler, the company also hopes to help develop the crypto market infrastructure by building Bakkt off of existing futures market practices. Loeffler said that ICE intends to design Bakkt to function as a regulated futures market, rather than unregulated crypto exchange. In March 2019, the Wall Street Journal reported that Bakkt's launch would be delayed further due to disagreements with the CFTC on how to regulate the platform. The discussion includes possible alternative ways for Bakkt to settle its bitcoin futures contracts in a way that will be regulatable under existing laws. An ICE spokesperson said that ICE was "working through the regulatory review process, and are looking forward to updating the market soon." Around the same time in March, ICE announced that its valuation had reached $740 million following a Series A funding round in which it raised $180 million in 2018. The investors included ICE, Boston Consulting Group, Galaxy Digital, Goldfinch Partners, Alan Howard, Horizons Ventures, and Pantera Capital. ↑ New Starbucks partnership with Microsoft allows customers to pay for Frappuccinos with bitcoin. CNBC. ↑ Launch update + reader FAQs. Bakkt. ↑ Bitcoin Futures Launch Hits Regulatory Snag. The Wall Street Journal. ↑ Bakkt Taps Former IBM and Cisco Exec Tom Noonan to Chair Its Board. CoinDesk. ↑ Intercontinental Exchange Announces Bakkt, a Global Platform and Ecosystem for Digital Assets. Business Wire. ↑ ICE Postpones Bakkt's Bitcoin Futures Launch To January 2019. Forbes. ↑ Bitcoin could come to your retirement account, thanks to Starbucks' crypto venture: Investor Brian Kelly. CNBC. ↑ Fraud Alert: Fake Bakkt Website is Seeking Funds. The Block. ↑ Bakkt's New Acquisition Will Speed Its Plan to Streamline Consumer Payments. Fortune. ↑ Fraud Alert: Fake Bakkt Website is Seeking Funds. Fortune. ↑ NYSE-owner ICE to form new company for digital assets. Reuters. ↑ Coinbase’s Adam White is joining Bakkt as its COO. The Block. ↑ Bakkt CEO explains how it will build on existing futures infrastructure. Crypto News Review. ↑ Bakkt Gets $740 Million Valuation But Investors Have Questions, Sources Reveal. Cointelegraph. ↑ Bakkt raises Series A at valuation topping $700 million. The Block. 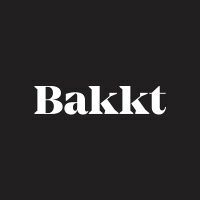 ↑ NYSE Operator’s Crypto Platform Bakkt Completes $182.5 Million Funding Round. Cointelegraph. This page was last edited on 12 April 2019, at 13:04.